Local Moves: Serving West Hartford, CT. When you’re in the market for a premier local moving company, Woodland Moving and Warehouse is the company for you! We’ve proudly served the area for more than 100 years, providing impeccable service at affordable prices. We understand that moving somewhere locally doesn’t make the task any less daunting than moving long-distance. So, we offer the same personalized care and attention to detail that we give to our long-distance moves. Moving into a new home should be an adventure, not a chore. When you trust us to handle your move, you’re free to appreciate the excitement of starting a new chapter of your life while we do all the heavy lifting. Our modern van fleet is state-of-the-art, combining GPS navigation and shipment tracking with new equipment and AMSA certified trained crews. 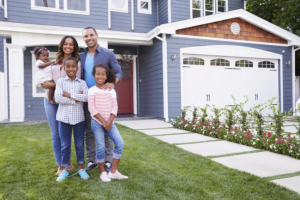 Don’t let the concerns of moving stop you from fully enjoying your new home. When you contact Woodland Moving and Warehouse, you’re getting a certified ProMover that will handle your local move with efficiency and the utmost care. We understand better than most what it takes to successfully complete a local move in the West Hartford, CT area, that’s why we provide each customer with an AMSA Certified Moving Consultant who works with you every step of the way to meet your needs. 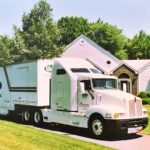 Your Move Consultant will help develop a personalized moving plan, specifically designed to get your move completed in a timely manner, at a competitive price. Competitive pricing and custom service aren’t the only reasons to choose Woodland Moving and Warehouse for your local move. 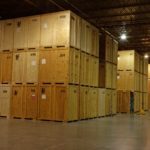 We also offer debris removal and packing services; long and short-term storage options; and a full array of moving and packing supplies for all customers. With all the services we offer, it’s no wonder that we have an over 80 percent repeat and referral client base. We offer the first month of storage free in our climate-controlled facility—perfect for those who need to declutter their homes for an upcoming move or store away items for staging needs. 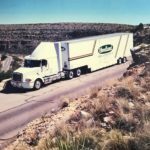 We offer lower winter rates on moving, which include specials on local, long distance, and international moves, as well as ancillary services such as custom crating and packing. For local moves in West Hartford, CT, fill out our form for a free quote, or call us at (860) 249-1949! We’re a trusted name in moving and we will always work hard for our customers, with no hidden fees. Let us help you get settled into your new home.